Ed Sheeran's self-painted album cover for his latest album, "Divide." After over two years of waiting, Ed Sheeran is finally back with a new album: Divide. The wait was truly worth it. Two songs were released before the album dropped on March 3: “Castle On The Hill” and “Shape of You.” Sheeran proves he is still a force to be reckoned with, as “Shape of You” spent its fifth week on the Billboard Hot 100. 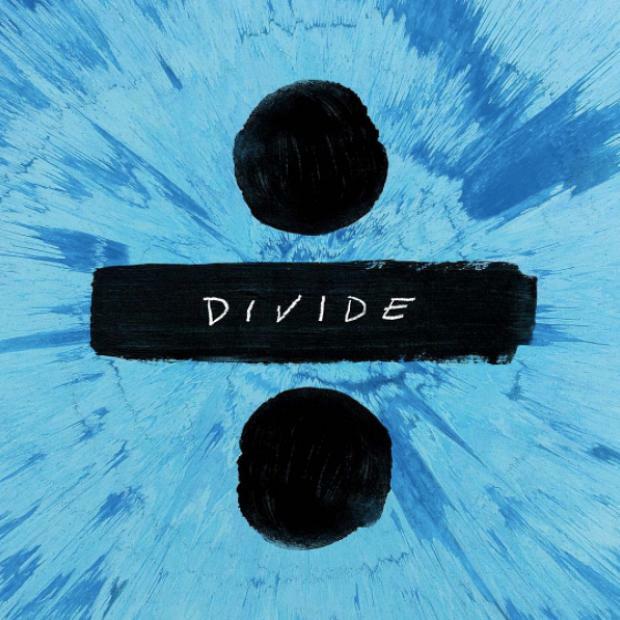 Divide, showcases Sheeran’s true artistic talent; his singing and songwriting abilities shine bright on this latest work. The song “Perfect” is a beautiful love song, similar to Sheeran’s 2014 hit “Thinking Out Loud.” This song is perfect because it displays his lovely, angelic voice with lyrics that will melt audience’s hearts. In the song “Galway Girl,” Sheeran proves that he is not limited to one music genre. The song, which was inspired by an Irish fiddle player, is a step in the right direction for Sheeran, as he explores an Irish sound. Listeners will instantly want to get up and dance because of the upbeat lyrics and happy tune. On the other hand, “Supermarket Flowers” is the saddest song on the album but the most impactful. This track is about Sheeran’s grandmother who passed away. His ability to create touching music that audiences can connect with displays how profound he is. “Supermarket Flowers” was one of my favorites because of how moving his words were and how it could have the ability to bring tears into the listener’s eyes. The four songs “Eraser,” “Perfect,” “Galway Girl,” and “Supermarket Flowers” were notably the best. I found that some of the other songs on the album could be a bit repetitive, especially throughout the choruses. Additionally, the same rhythms frequently surfaced over and over again, making these songs weak spots on the album. However, these are just nit-picky details, because the album was truly a unique step for Sheeran. He explored a new sound, while still staying true to his roots. Personally, I feel this album would be an amazing experience to see performed live, and it could be a serious contender for the 2018 Grammy Awards. If you have been a fan of Sheeran’s music in the past, you will not be disappointed with Divide.